Cats v Dogs: me, I’m more of a dog person but there can be little denying the positive impact pets have on small minds and well-being no matter what species they are. The therapeutic effect dogs have on the lives of their humans is well documented. Their cuteness appeal however is much harder to chart. It simply knows no bounds. Here is a smattering of doggy-inspired reads for kids that may lure more of the feline-inclined over to the dog-side. The Pocket Dogs and the Lost Kitten by Margaret Wild and Stephen Michael King is a jolly little new addition to the extremely likeable picture book series, The Pocket Dogs. 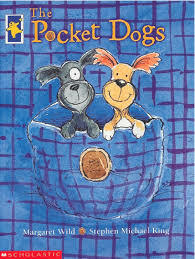 Mr Pockets’ dogs, Biff and Buff struggle to accommodate a new member into the family in this picture book that pre-schoolers will soak up with glee and older readers can easily tackle on their own. King’s iconic illustrations thrill to the nth degree. 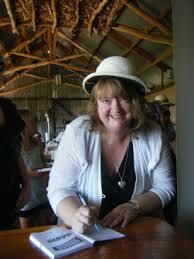 Learn more about Biff and Buff’s adventures here, in Romi’s fabulous recent review. 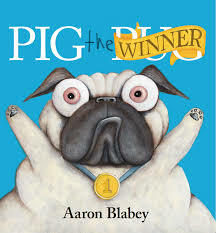 I have to confess, Pig was not my favourite Aaron Blabey character when he first forced his way into our lives. Bulgy-eyed and ill-tempered with the most pugnacious attitude on four legs, Pig was hard to love. Nevertheless, his irascible nature eventually got under my skin like a coat-full of fleas and by Pig the Fibber, I had to agree with my 9 year-old that this cantankerous canine really was worth trying to love. Pig the Winner is quite possibly my favourite account of this bad-mannered pooch to date. His behaviour has not altered and his agenda remains purely pug-orientated; poor second-best, Trevor is treated with the same distain and disrespect as before for Pig’s greed to be first at everything outweighs any compassion he has for his kennel buddy. 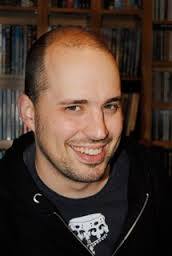 He’s a cheat and a gloater who has to learn the hard way that good sportsmanship should be about fun, friendship, and fitness not just coming first all the time. And he does learn eventually, sort of… Pig the Winner is a gloriously gauche and enjoyable mockery of man’s best friend behaving badly. A winning addition for your Pig collection. If you need help changing your pooch from a Pig to a well-mannered pup, look no further than Dr Katrina Warren and Kelly Gill’s Wonderdogs Ticks & Training. 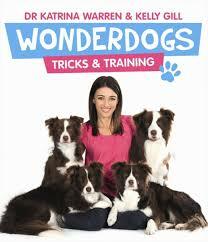 This doggy training guide isn’t just about extending the mental prowess of one of the world’s smartest dogs, the Border Collie, although it does feature Kelly Gill’s troop of wonder collies. It guides readers through the basics of puppy care, socialisation, initial good manners training and harnessing canine respect and psyche. 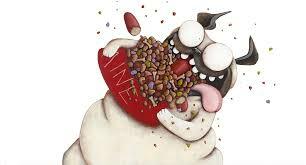 Moreover, it does all this in a supremely conversational and digestible way, perfect for the young dog owner. Children as young as five will gain much from the clearly laid out explanations and sweeter than cotton candy photos of some very cute collie pups. Part 2 ramps up the training to wonderdog level introducing readers and their dogs to dozens of trainable tricks ranging from basic to advanced, again in step-by-step logical progression. It’s easier than following a recipe and just as rewarding. You don’t have to be a new dog owner either to appreciate this book and transform your dog into something even more wonderful. Chris McKimmie’s creations either make you cringe with discomfort or cheer with exuberance. His picture books brim with artwork that is simultaneously bewildering and bewitching, crowded with observational humour and flushed with detail. I don’t always find them easy to read but immensely interesting to absorb, often across a number of readings. Me, Teddy echoes much of the iconic McKimmie brilliance we’ve come to associate his tales with however, for me, it represents a significant piece of art and comedy, as well. 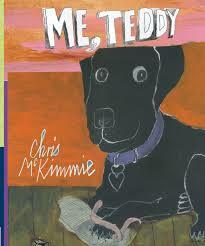 This is Teddy’s scrapbook, a carefully scraped together collection of memories, anecdotes, pictures, and internal thoughts by the McKimmie’s much-loved black Labrador. Teddy introduces us to his chewed-shoe and soap-eating, puppyhood then invites us to romp with him through his day-to-day adventures including his confusion when his family temporarily depart with their suitcases, leaving him behind. I love Teddy’s dog-eared perspective of life and the subtle intimation that he is the one who really calls the shots. Actual drawings, photos and hand written notes create a delicious sense of authenticity for what could have been a self-indulgent tribute for a (beloved) family pet, which it is but which also elevates it to a heart-warming picture book that any child, person and dog lover will instantly ‘get’ and love, too. A couple of years ago a diminutive orange cat sprang into our hearts and homes courtesy of picture book creators, Alison Reynolds and Heath McKenzie. That cat was, Marmalade. He caused quite a sensation around our home, so when we heard he was on tour with Alison Reynolds, purrs of satisfaction reverberated throughout the house once more. Alison Reynolds is no stranger to children’s fiction, but when she teams with illustrator, Heath McKenzie, her work is picture book paean. A New Friend for Marmalade, sequel to the hugely successful, A Year with Marmalade, is a simple story about making new friends. But as we all know, the art of forming and maintaining friendships is seldom that straightforward. Hierarchy and the delicate differences between boys and girls all begin to surface in early primary years, making social interplay more of a challenge. 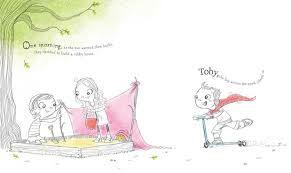 When Toby, the boy across the road attempts to join BFFs, Ella, Maddy and Marmalade, things go instantly awry. Toby’s endeavours to fit in are not particularly successful nor welcomed by Ella and Maddy. He is over-exuberant, clumsy and dresses funny. Marmalade, however, sees him differently. 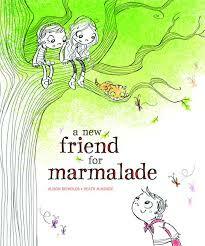 In Marmalade’s moment of crisis, his gamble on Toby pays off and beautiful new friendships are forged all round. I love the snappy, clean layout of this picture book. Swirling text works effectively against plenty of white space, giving readers the sensation of floating seamlessly along with the story. The narrative itself is succinct and character driven, with enough repeating phraseology to prompt even the most modest beginner reader to join in the fun. McKenzie’s soft smudges of pastel colour highlight significant aspects and emotions of the story: the girls’ cubby house and sand castle city, Toby’s cap and scooter, and of course, our little orange hero, Marmalade. Acceptance, tolerance and making that leap of faith permeate appealingly through this dreamy picture book, resulting in a fine example of ‘less is more’. It certainly stacks up for me. Uncover why sand-castle-city builders from the age of 4 years and up will treasure A New Friend for Marmalade, here. Stick around with Alison and Marmalade for the rest of their tour and participate in the fantastic competitions listed below. You never know, you might just make few new friends along the way! Pet contest for all ages! Just leave a comment on one of the posts in the blog tour, comment on Facebook or even email Alison that you want to enter competition to win A New Friend for Marmalade.